Hello everyone! 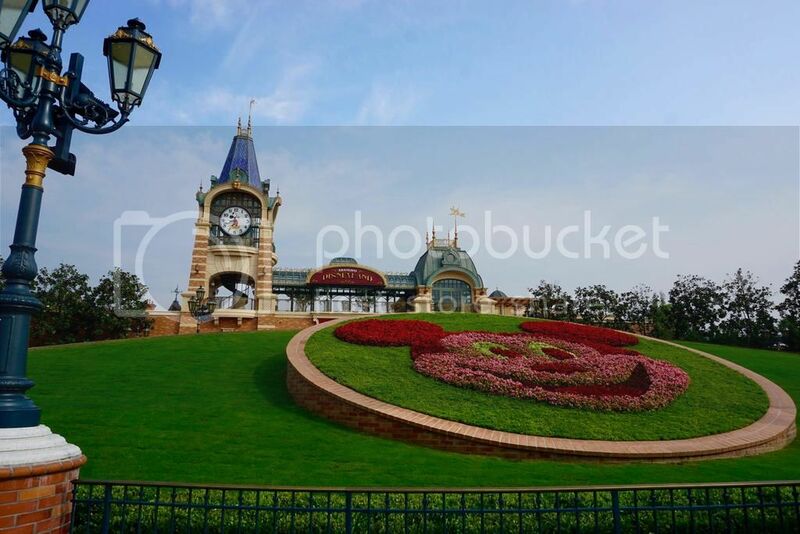 We just got back from a wonderful trip around Asia with stops at The Tokyo Disney Resort, Hong Kong Disneyland, and of course the new Shanghai Disneyland park. 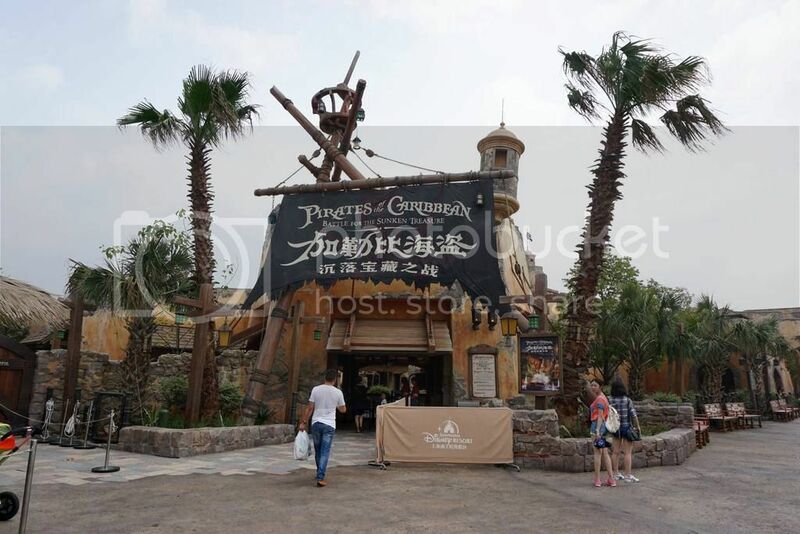 Shanghai Disneyland was the last stop on our tour, but I wanted to write my trip report on this park first since there has been so much talk and excitement over the latest addition to the Disney park family. 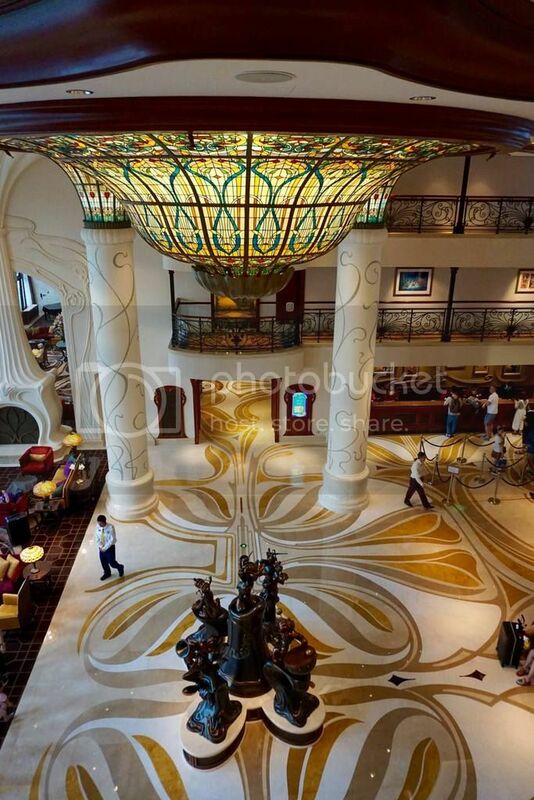 We arrived to Pudong international airport in the late afternoon and took a taxi straight to the resort to check into the Shanghai Disneyland Hotel. The taxi ride to the resort is around $17 USD, but people will hound you in the terminal trying to charge up to 8 times the amount. If you fly into Pudong, just follow the signs directly to the taxis and get in line. The resort is only about a 25 minute ride from the airport. 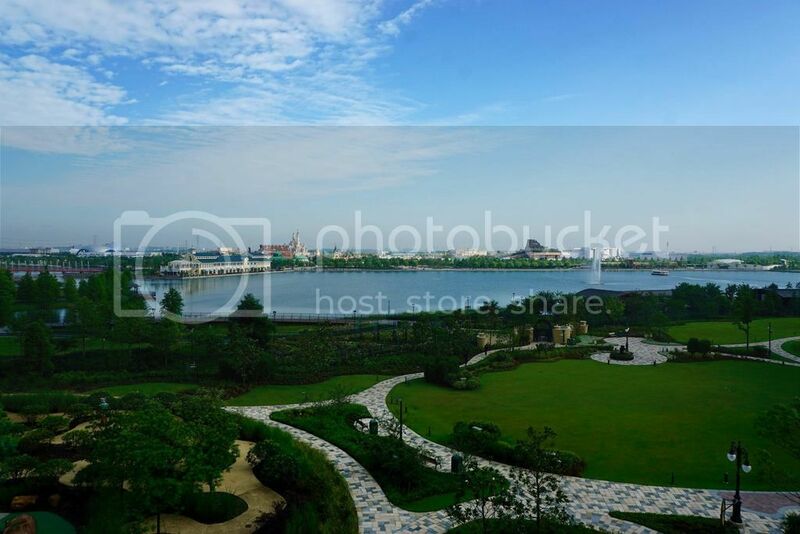 We were lucky enough to secure 4 nights at the beautiful Shanghai Disneyland hotel with a park view room. The check-in process was fast and easy. If you are worried about the language barrier, they had a cast member who spoke enough english to help us with our reservation and the check-in process. My only issue with this whole process was not at the hotel itself, but the reservation website. We weren’t able to secure a king bed, which is not an option when booking your room on their website, in fact, if you want to change anything about your reservation you have to cancel the entire reservation and make a new one. Since we were going opening week we didn’t want to chance it by canceling at anytime. 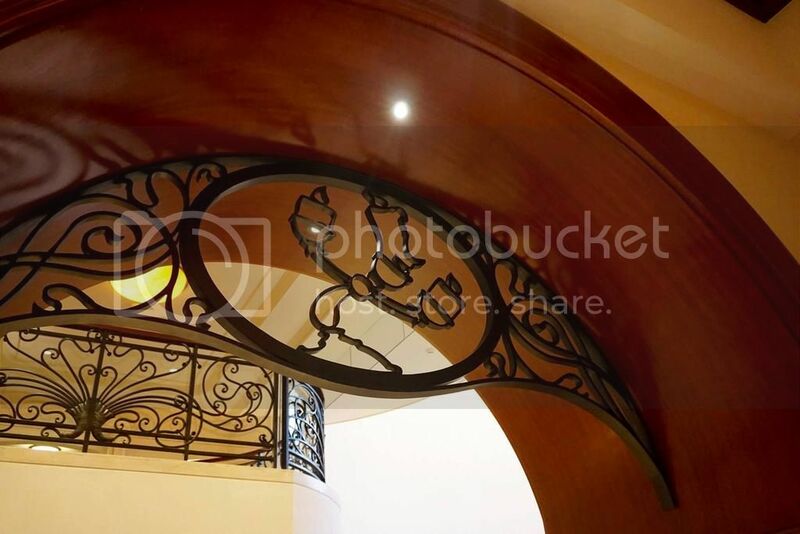 This goes for the same when choosing the club level rooms on the website, you cannot choose what kind of view you want (garden, lake, or park) To avoid a hassle, I suggest calling and making your booking directly with the operator. Now for the hotel itself. 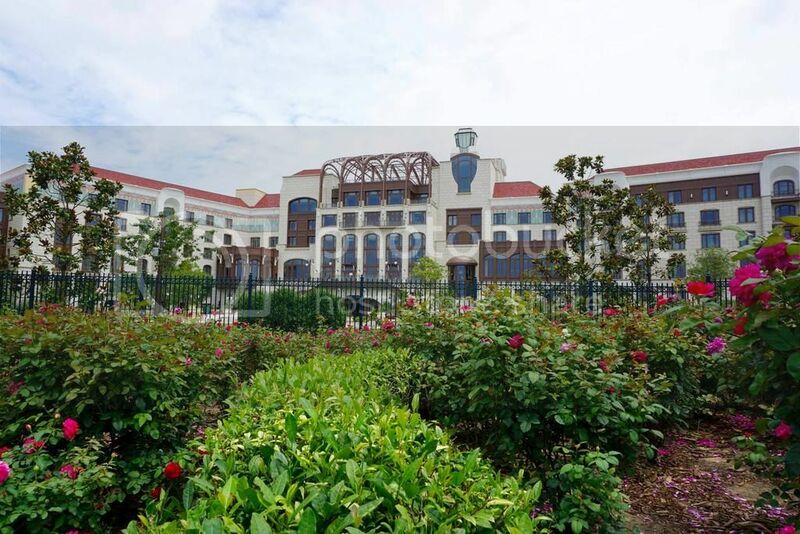 The Shanghai Disneyland Hotel is listed as a luxury hotel, boasting an indoor pool, water play area for children, gardens, and restaurants. In terms of luxury, the hotel sits somewhere in-between a moderate resort at Walt Disney World and the Tokyo Disneyland Hotel. Our room was a park view room and boy did this view not disappoint! We had a view of Wishing Star lake and the beautiful Storybook Castle beyond. The room was well appointed with a “magical moment” built within the headboards. 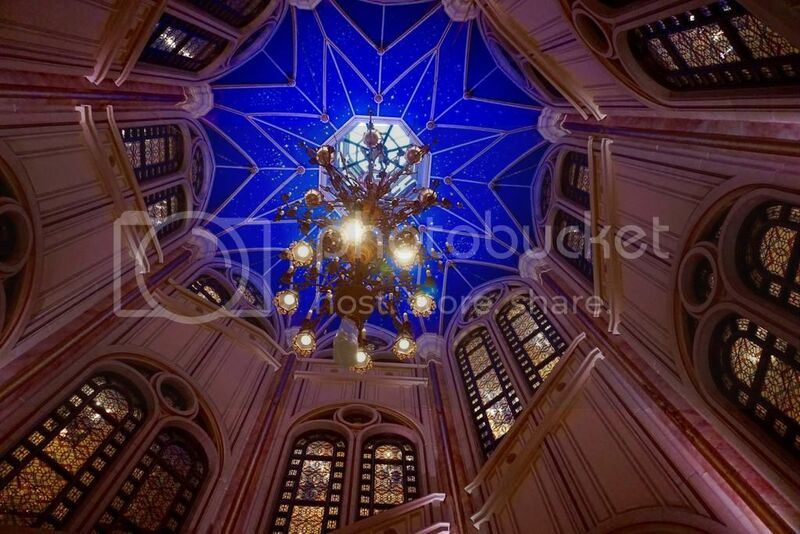 I would compare the room most to the Disneyland Hotel in Tokyo, simple Disney touches that aren’t loud, with just the right amount of taste. My favorite part of the room was actually the design of the window, which seemed whimsical. The rooms here feature dual outlets, so no need to bring any converters/adapters for your electronics if just staying at the resort. The hotel did feature Wifi as did many parts of the park, but be advised that Facebook/Instagram/Google/Youtube aren’t accessible in China. You can easily get around this on your phone by downloading a VPN app so you can share those memories with your family and friends back home. The first evening we had reservations at Lumieres, which is a character buffet dining experience at the hotel. 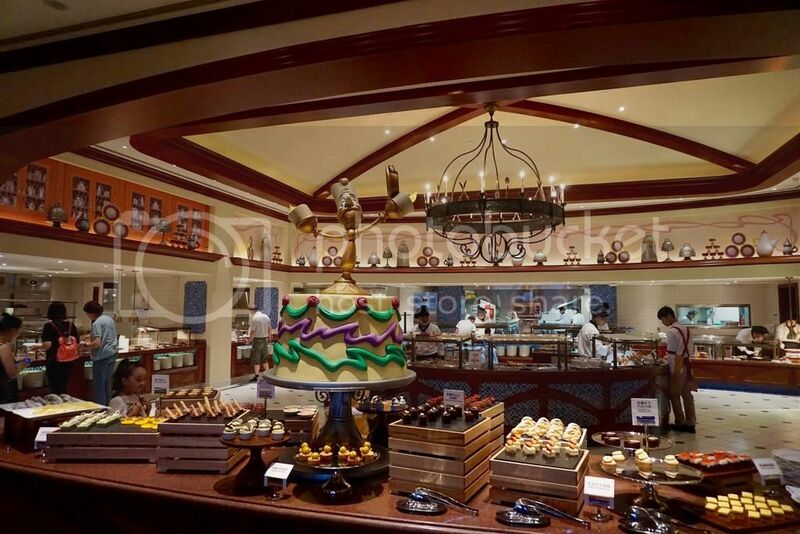 The restaurant was, in Disney fashion, themed to Beauty and the Beast, but still remained true to the hotel style of art deco. We had reservations around 7pm and were seated promptly as there were only about 3 other families in the dining area. The first thing I noticed was the amount of hospitality the cast members had. Every time we went up to the buffet they would fold our napkin for us, something I’ve never experienced at the U.S. parks. The food is a mix of Chinese, Indian, and Western. The true star of the buffet though is the dessert table with about 20 different desserts to choose from. The character interactions were great and since there weren’t a lot of people we got to take our time and pose for enough pictures. I don’t usually opt to do character dining because I always feel rushed with the characters, but Lumieres isn’t a large place to begin with so you will have plenty of time. 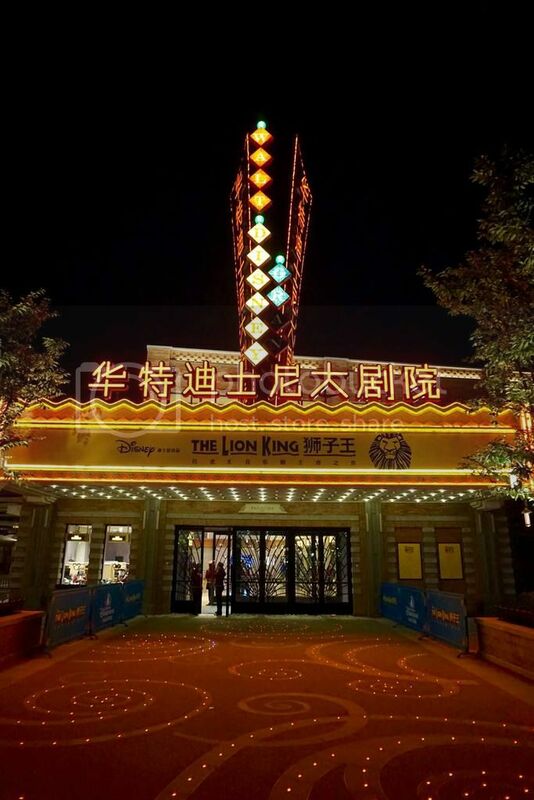 Disney Town itself is a beautiful shopping district that boasts numerous restaurants, shops, and even a Mandarin production of Broadway’s Lion King. 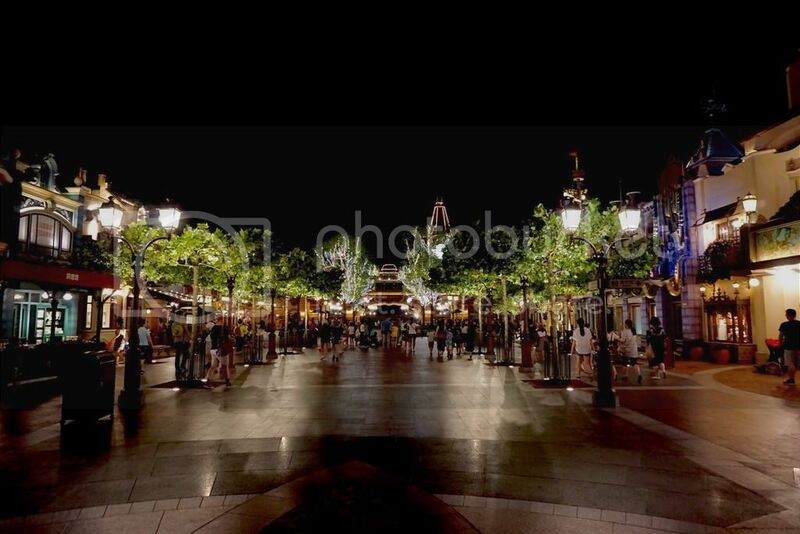 Disney Town is a mix of Disney Springs in Florida and Downtown Disney in Anaheim in style, but takes up a smaller footprint then even Anaheim. The real star here though is Wishing Star park. This park is massive! I’ve heard they will be using this area for concerts, festivals, etc, and there sure is enough space to accommodate this. The next morning the park opened up at 8am so we thought we would arrive about 30 minutes early to get in line. We arrived at 7:30 and to our surprise select attractions and Fastpass kiosks were already open. We opted to get a Fastpass for Soarin' and start our magical day. I’m going to break up the rest of the report by land with my thoughts on each. 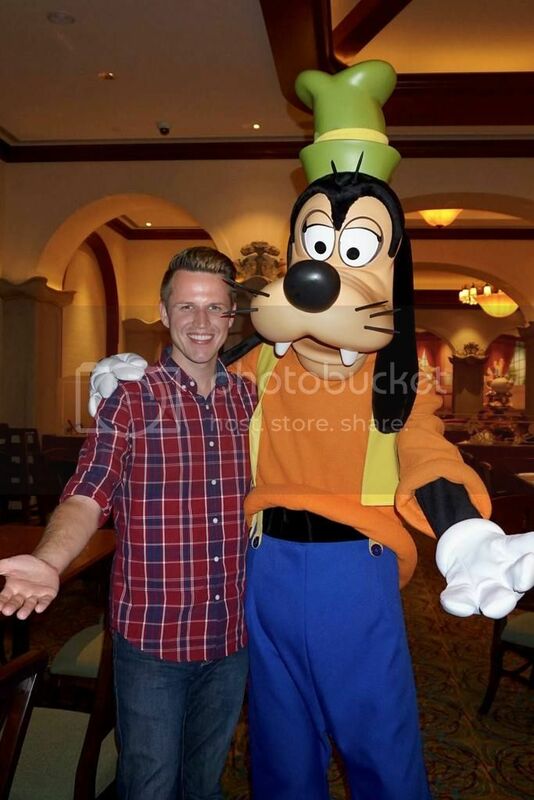 Mickey Avenue: Where do I begin? 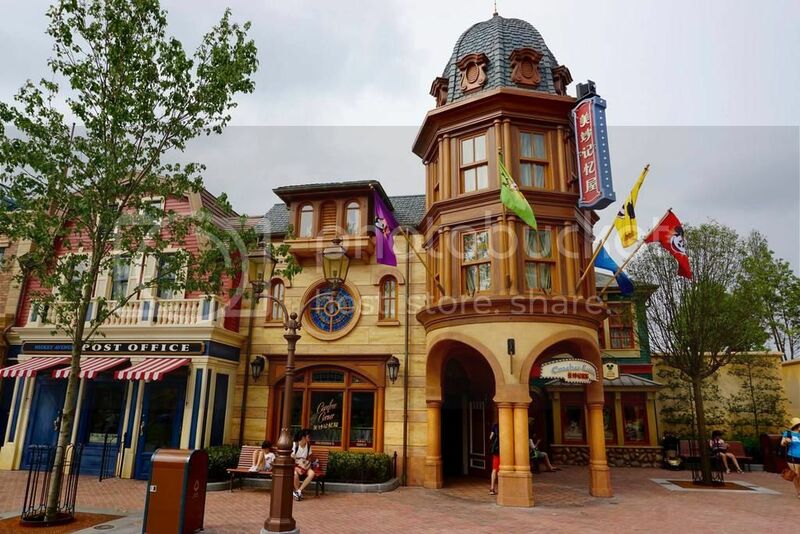 Mickey Avenue is the opening act of Shanghai Disneyland and is a replacement of Main Street U.S.A that is found in every other Disneyland (World Bazar in Tokyo) Mickey Avenue feels like a hybrid of Toontown and Main Street which mostly works, but you throw in the Carthay Circle Theatre and things get a bit disjointed. Like many have stated, Mickey Ave. is short, but wide. The land doesn’t have the charm nor the kinetic energy that Main Street U.S.A has. In fact, the park lacks any type of a public transportation system. Although there are some faults here, it’s a beautifully detailed area. The transition from Mickey Ave. to the Gardens of Imagination is seamless and works beautifully. 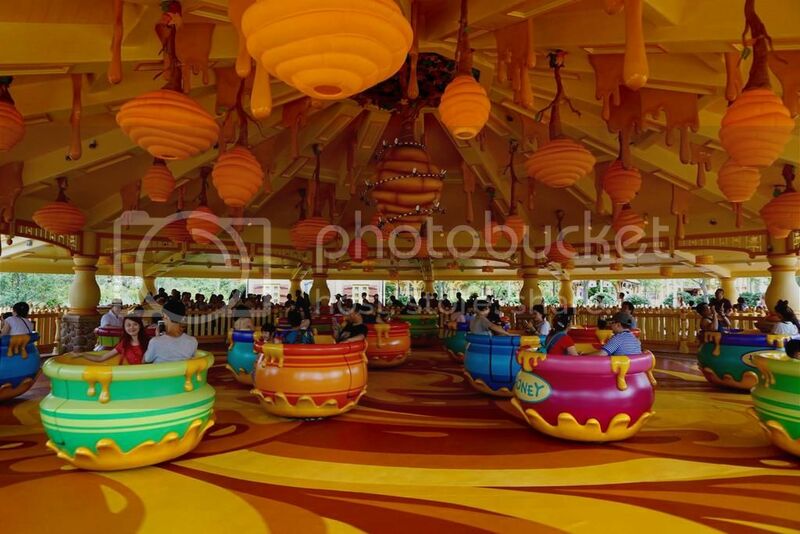 Gardens of Imagination: The “hub” area of the park actually features 2 rides, The Fantasia Carousel and Dumbo. 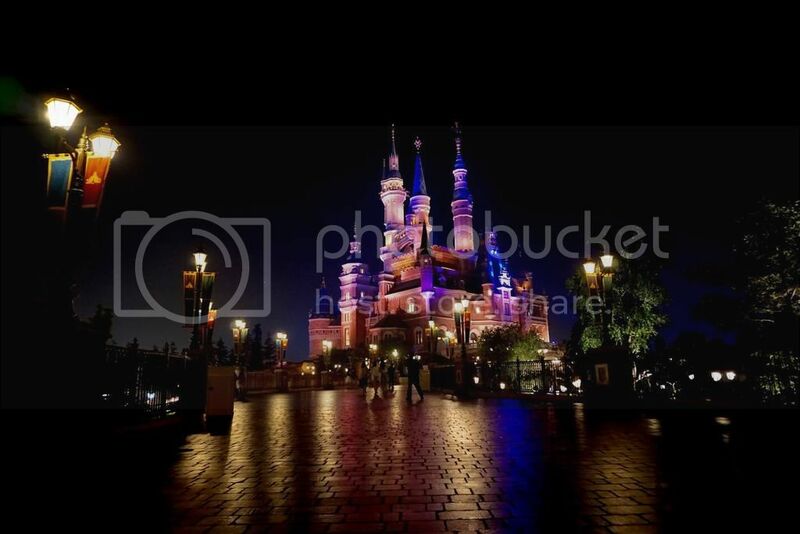 You can tell Shanghai Disneyland was meant for capacity when you see the sheer size and layout of this area. The Fantasia Carousel fits beautifully in the garden and the lights at night make it even more grand, but the Dumbo area just didn’t work for me. 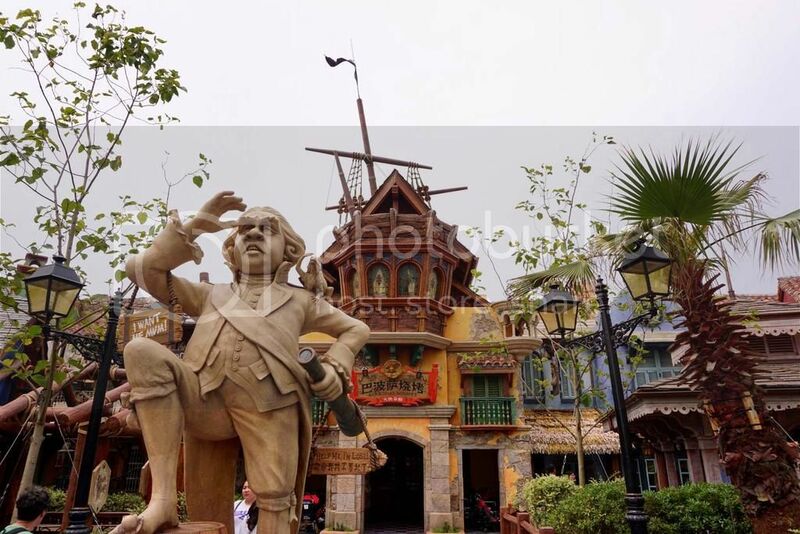 The garden of twelve friends is a nice touch, but when it’s listed as an attraction, you know that’s saying something about the capacity issues of this park. Overall this section works and has a lot of space, so watching the castle show or evening spectacle is easy from anywhere. Adventure Isle: The Adventureland of this park features the 2 most popular attractions in the park, Roaring Rapids and Soarin' Over the Horizon. 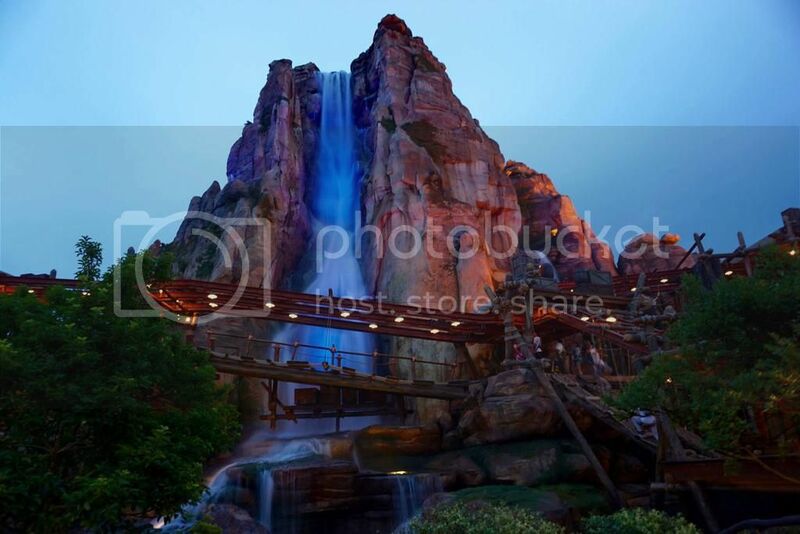 My advice is to get a Fastpass for Soarin right when the park opens and then ride Roaring Rapids. Roaring Rapids had issues everyday that we were there and operating times were sparse. We were only able to ride this once out of the 3 days that we spent in the park. 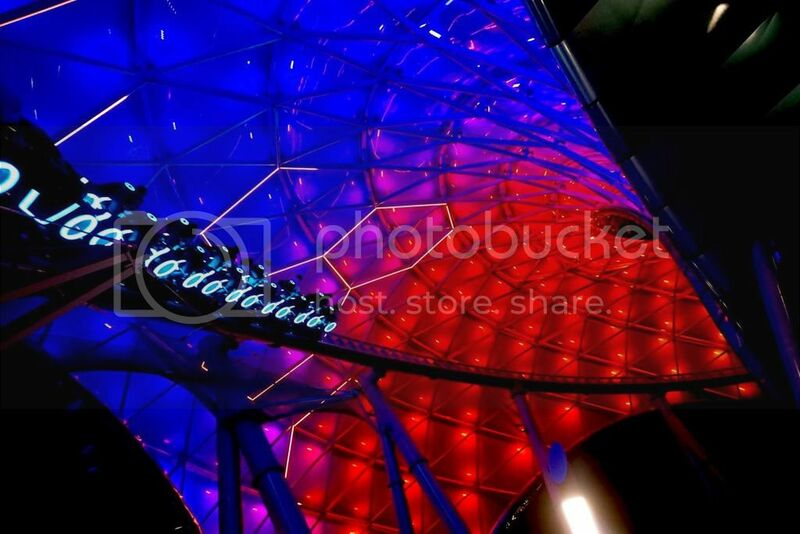 In fact, we stood in line for it at park opening (7:30am) with the ride opening at 8am. The ride opened and experienced an issue as we were about to board. The cast member was nice enough to give us a pass to come back later in the day which we did. I hope they workout the bugs to this attraction as it’s a wonderful ride which pretty much harkens to the one at DCA, but with a bit more detail and an awesome animatronic. 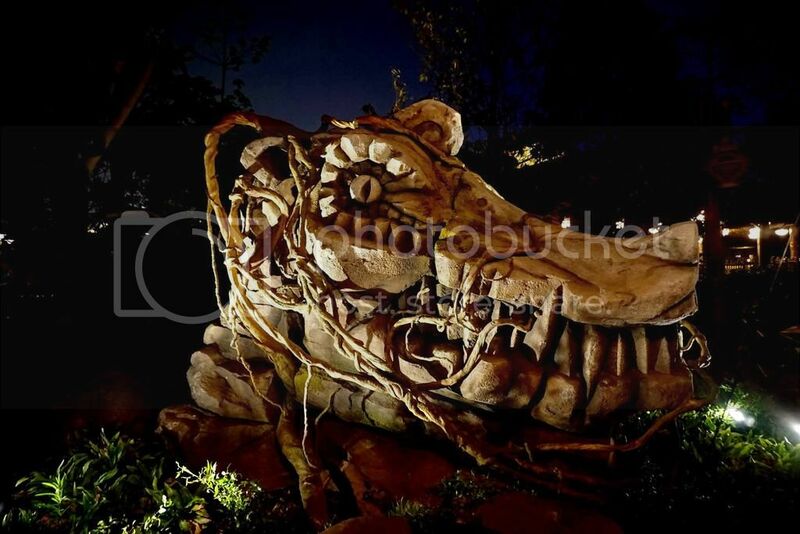 My favorite attraction in this area was not an actual ride, but the challenge trail. 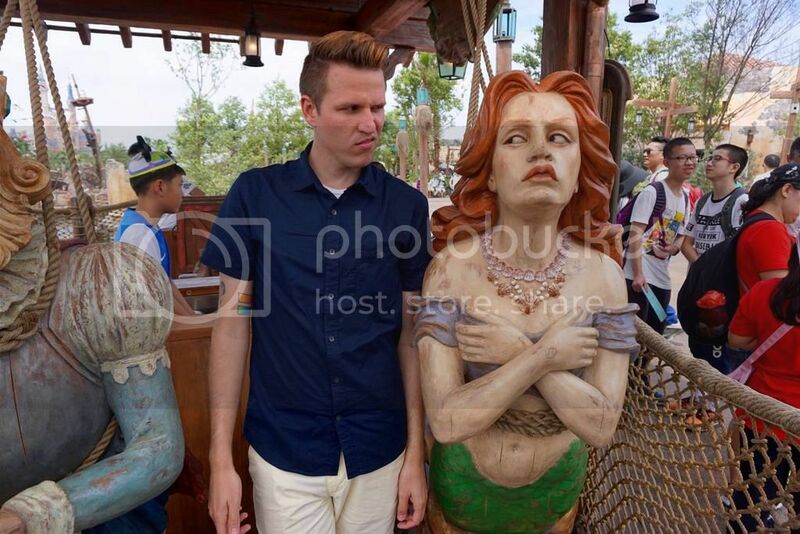 This is not like any other experience in a Disney park, and I’m sure could never be built in any of the U.S. parks. Any attraction that required you to be harnessed in so you don’t fall and die is an A+ in my book! One of the most beautiful shows I've ever seen at a Disney park is featured here, Tarzan: Call of the Jungle. Unlike most of the shows that are in Chinese in the park, this show uses movement, dance, and acrobatics to show a beautiful story. Tarzan is a mix of Disney storytelling at it's best, with a flare of Cirque Du Soleil. The theatre itself is very large so you shouldn't have any issue getting a prime seat at least 30 minutes before showtime. Looking forward to more - thanks! Thanks for your amazing trip report. Also I think the driver already did a longer route as from Pudong to Disney is $10 max. 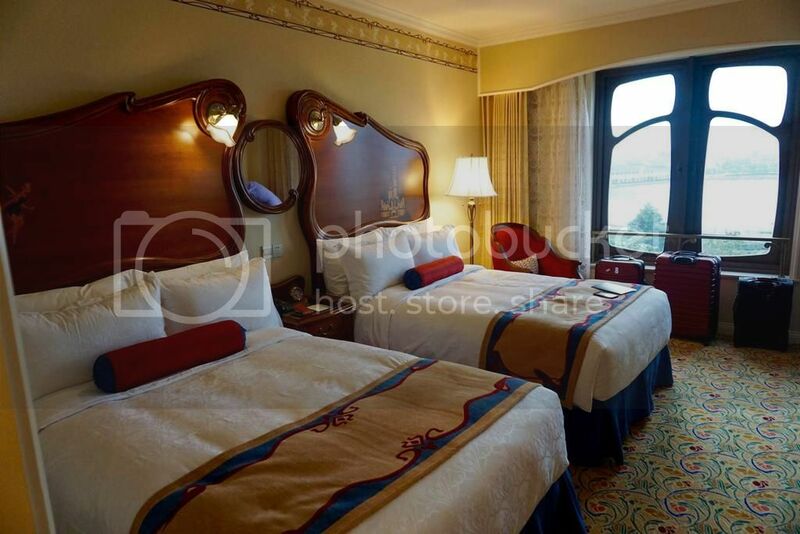 And here is just my opinion, the hotel room at SHDL hotel is nothing compared to the Tokyo one. Shanghai is simple and has no touch and detail. I hope you got a picture by your zodiac animal, I found that to be fun when I went to a park/temple in China. Thank you for the report. I can't wait to see more. How are the crowds there? We're thinking of going this fall in conjunction with my husband's business trip. Nervous about the crowds though. You're pictures don't look like it's crazy busy there. However, the hot, humid weather might be a factor? I can't wait for your report on your thoughts on Tomorrowland. What a beautiful start to you trip report. Can't wait for more!! So I realized I never posted the rest of my trip report and I'm very sorry for that! I wrote it all out too! So I don't think it's every too late, right? 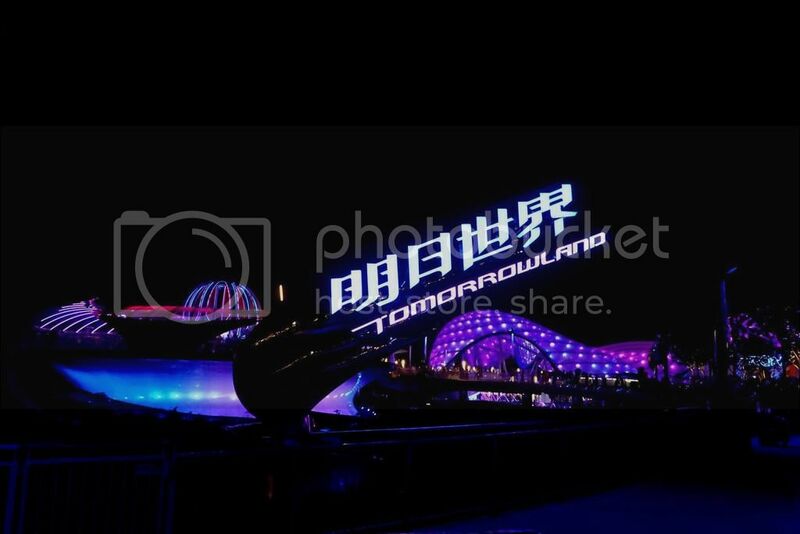 I know there are many opinions about Tomorrowland, mostly stemming from the sad state of the one in Disneyland in California, but what I can say is Shanghai's Tomorrowland is one that works. The look and feel may seem cold to some, but I thought it looked the most futuristic out of all the Tomorrowlands I've been to. This land features 3 rides, Buzz Lightyear: Planet Rescue, Jet packs, and of course Tron. Buzz Lightyear was much like its Disneyland counterpart, but with more technological upgrades. The Jet Packs had a no spin (no pun intended) where your legs hand out. 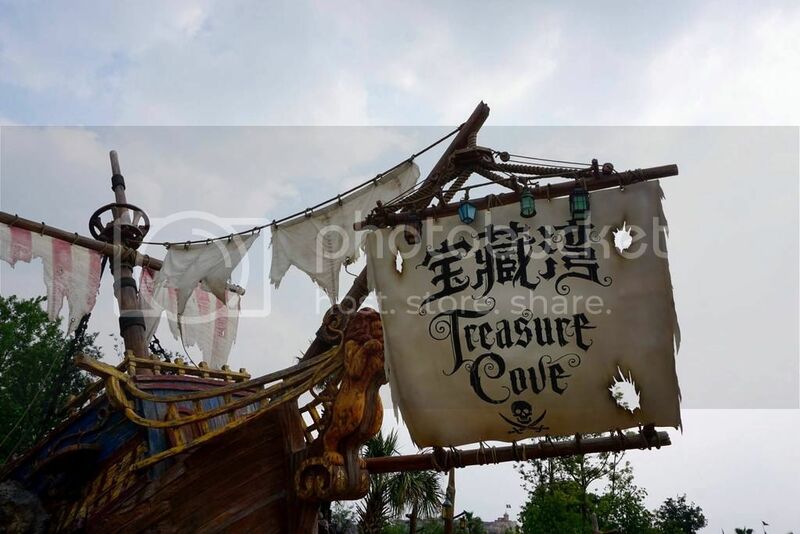 This is no doubt a popular ride featured in all the Disneyland style parks and the one in Shanghai is definitely unique. The real gem in this land though in Tron. The ride itself is fast, fun, but also short. 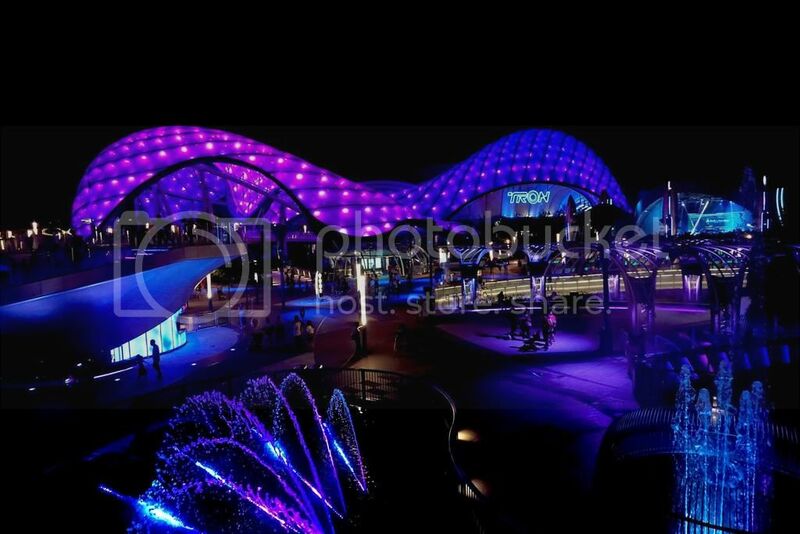 To get the most out of this roller coaster you definitely had to ride the attraction at night as the building itself dazzles in different colors. The land that plays it safe in Shanghai. Yes the castle is large, and yes it features the usual attractions such at Peter Pan, Winnie the Pooh, a castle walk through, and a new attraction, Journey to the Crystal Grotto, which to me was just a bigger version of the canal boats from Disneyland in California. I really don't have many opinions on this land it was the one I spent the least time in. The land is HUGE, but doesn't have many attractions. Whether this was intentional to save space for later use, it just made the land feel too big, not intimate, and overall cold for a land that is supposed to fully immerse you into a storybook. The one thing that I find amazing is the castle. Its big, I mean BIG. Some say too big, but eh I think its fine and it really makes a statement. No doubt the best, most thematic, and immersive land in the park. 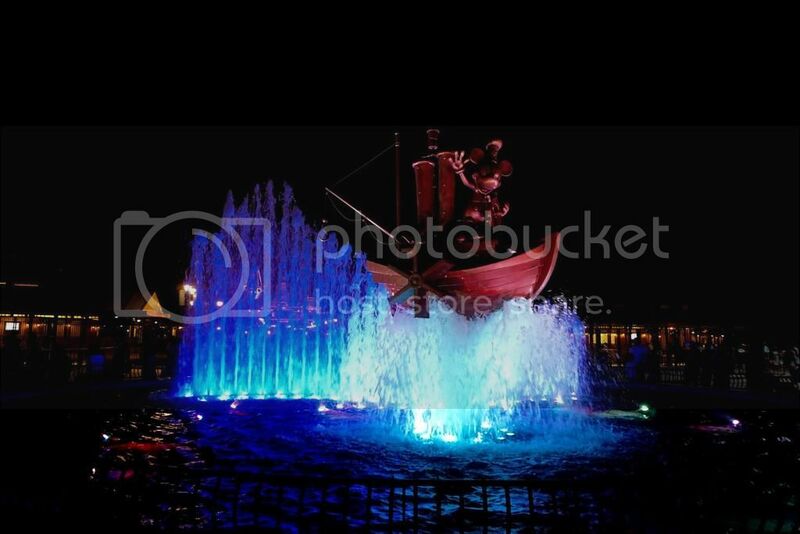 It also features the best attraction Disney has done so far, Pirates of the Caribbean: Battle for the sunken treasure. 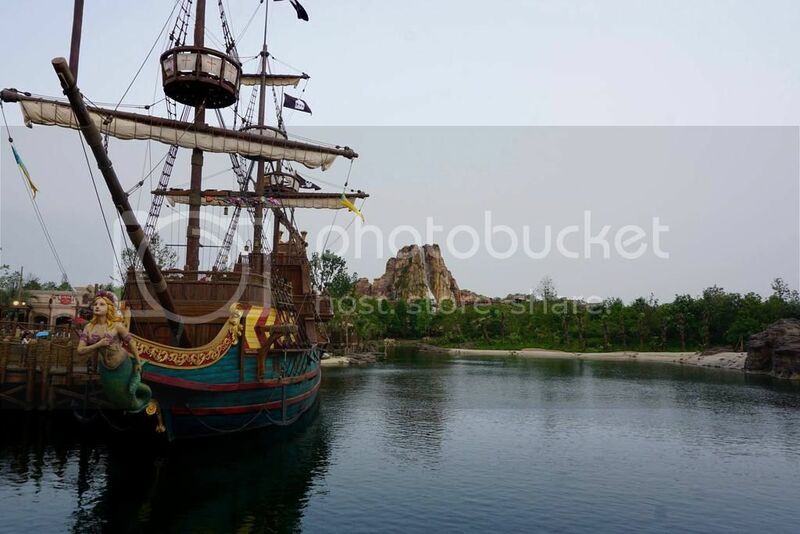 The land brings the spirit, design, and feel of the Pirates attraction and fully immerses you into the world. The Pirates attraction here is top notch, the best of the best, but also one of the shortest lines in the park when I went. 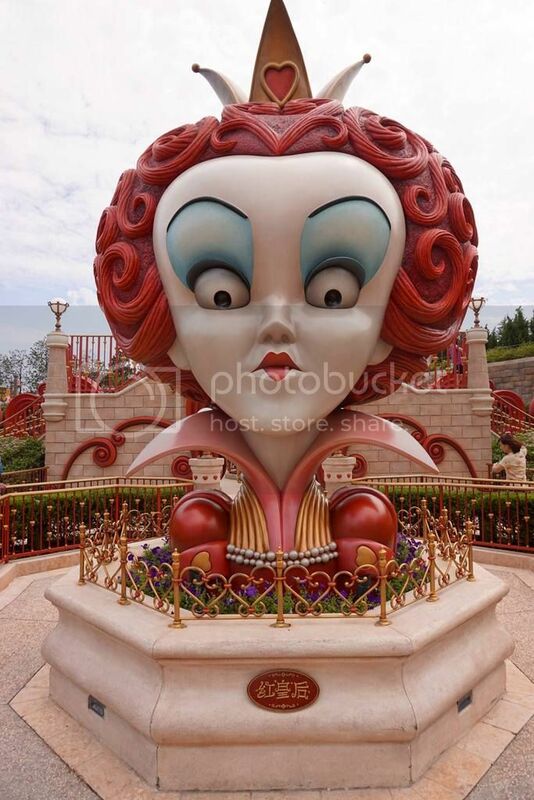 There is so much to see on the ride that I feel it will take you countess rides to be able to see everything. 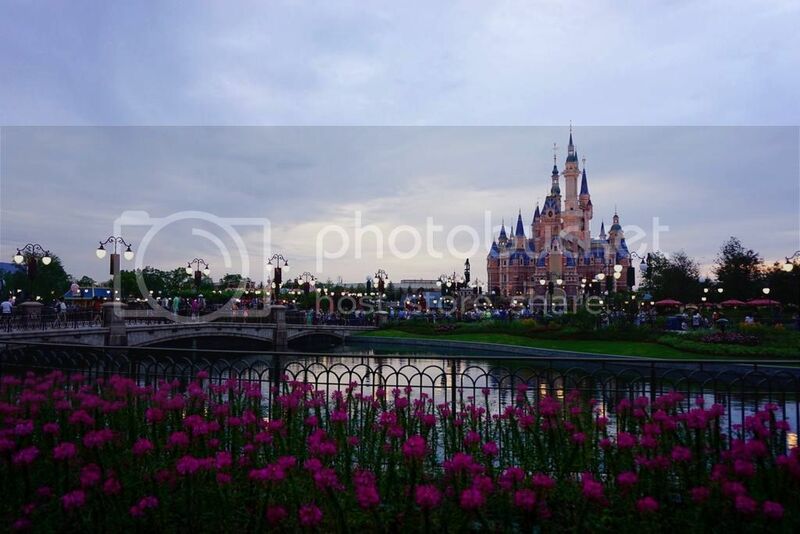 Shanghai Disneyland brings the Disney parks into the 21st century, an advantage of building a whole new park from top to bottom. Although the park has many flaws, most to do with limited attractions and its huge layout, we enjoyed out time immensely. The Disneyland hotel is lovely, the walk to the parks was peaceful, and the time spent in the park had us smiling at so many new experiences, and some old. It's truly a beautiful park with much room to grow. 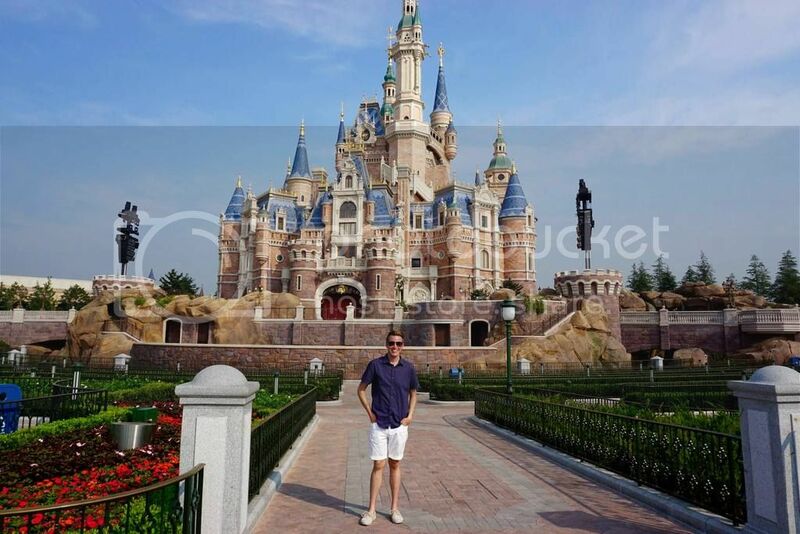 If you get a chance, I hope you get to visit Shanghai Disneyland and what it has to offer.